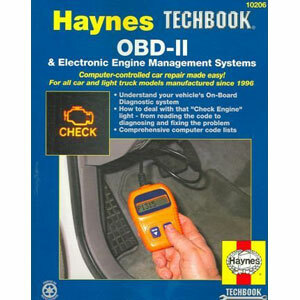 If you are struggling to get the hang of your diagnostic equipment a Haynes manual is always a good place to start. This manual takes the mystery out of On-Board Diagnostic Systems, so you know what to do when you see the “Check Engine” light. This manual also includes generic codes for many modern vehicles and even component replacement procedures. Haynes Engine Management Systems is also fully illustrated with over 250 drawings and photographs.